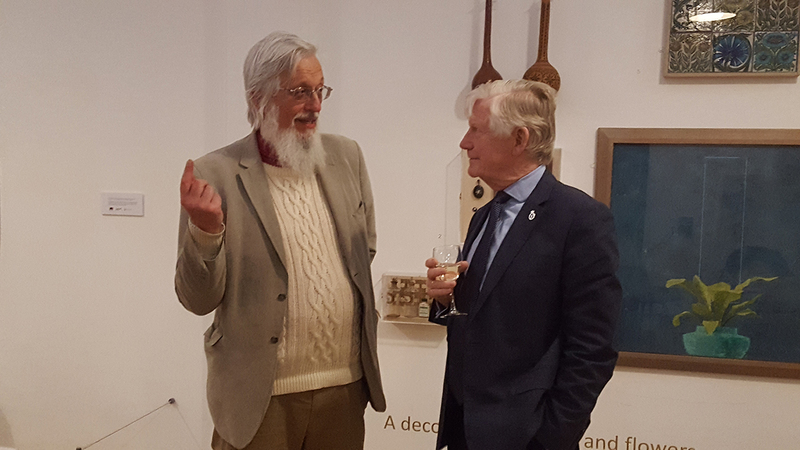 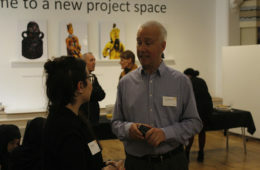 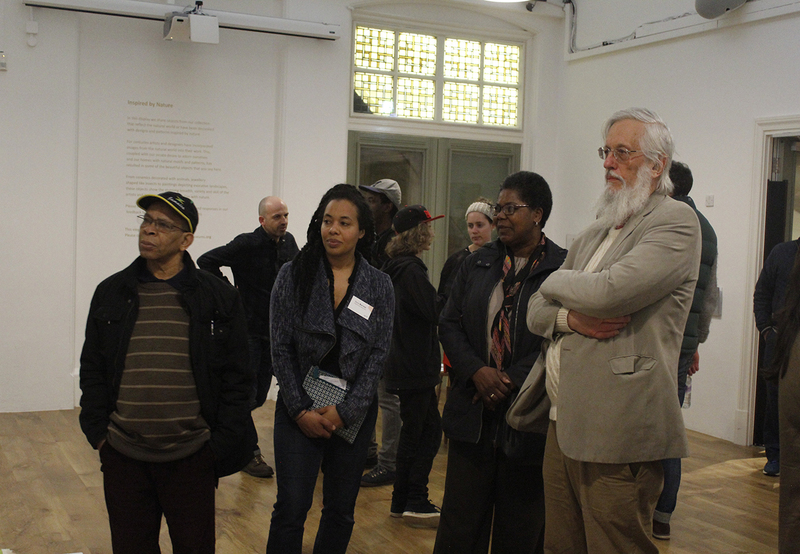 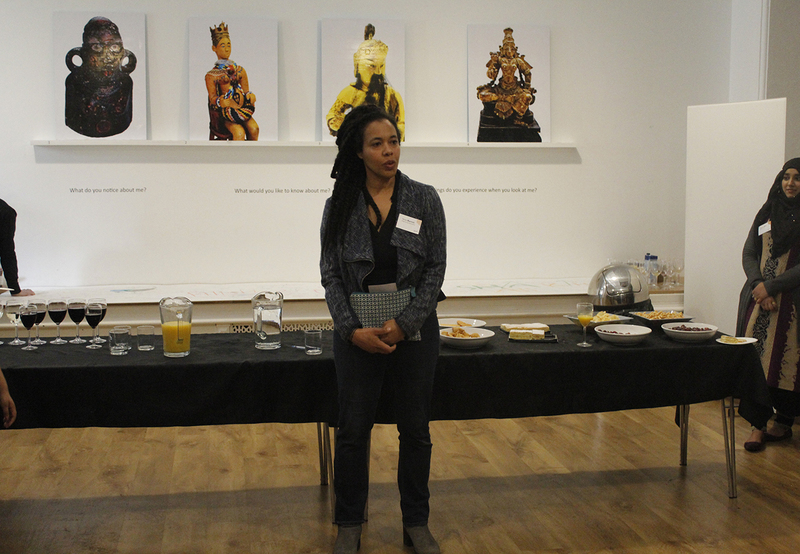 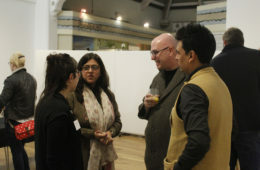 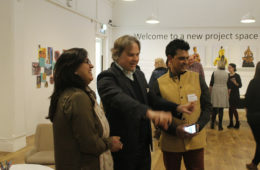 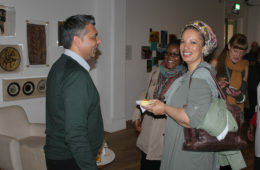 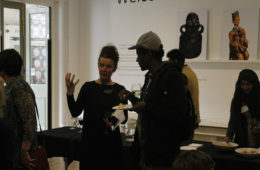 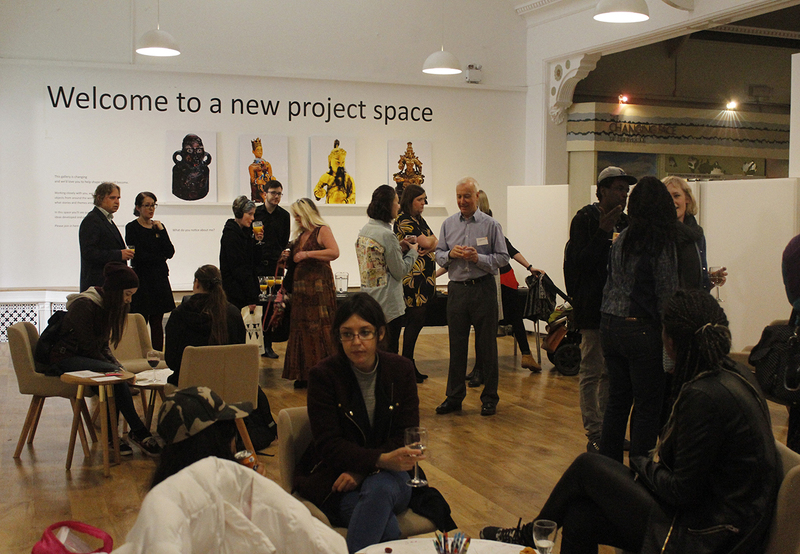 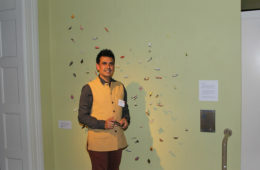 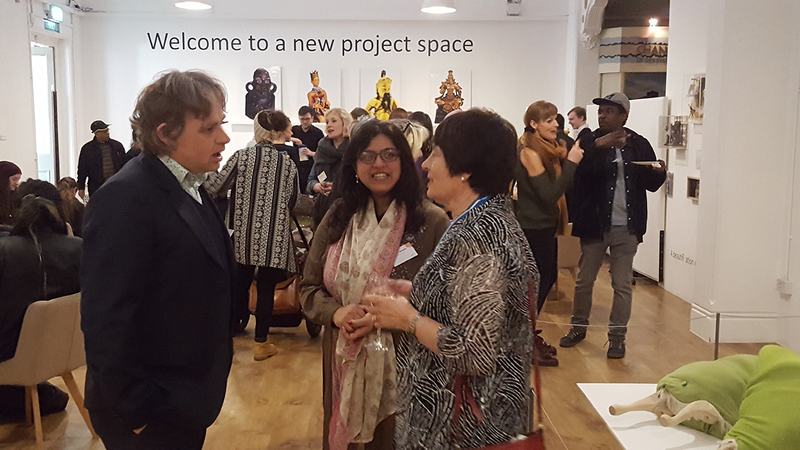 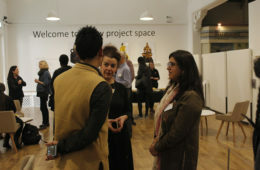 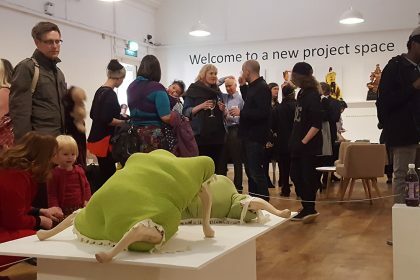 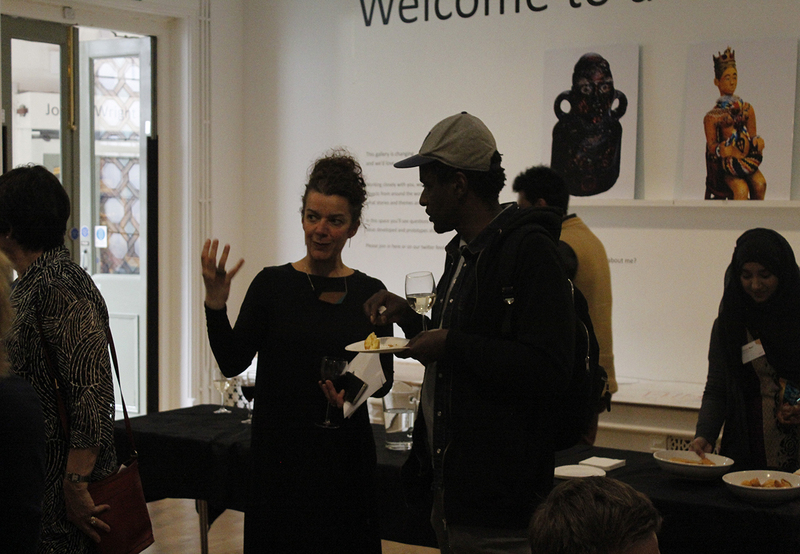 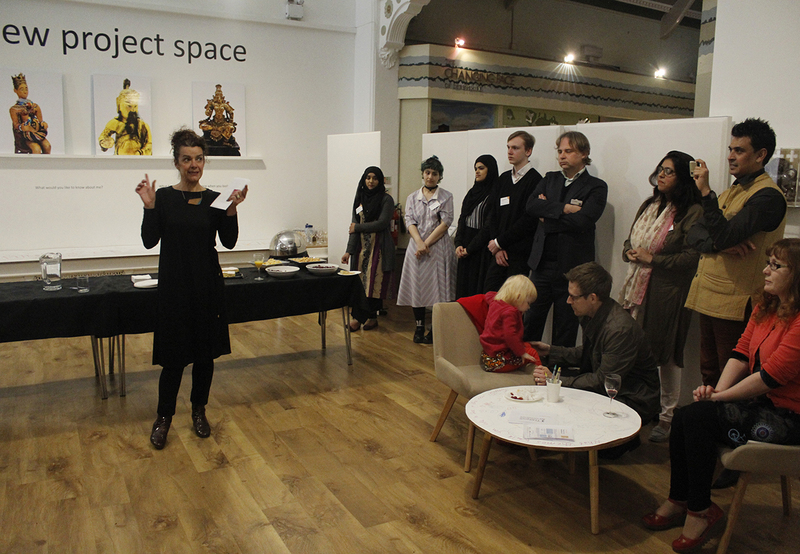 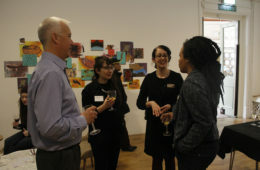 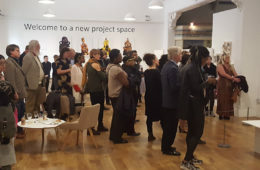 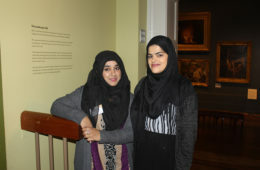 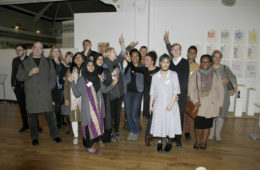 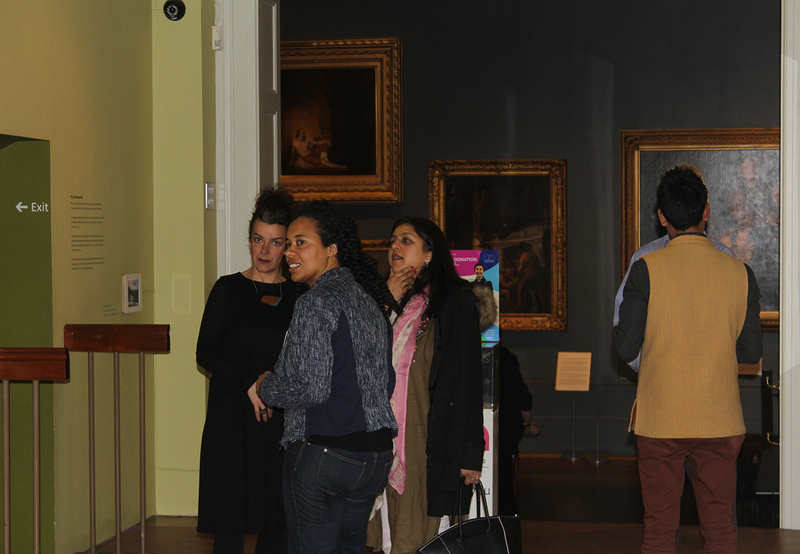 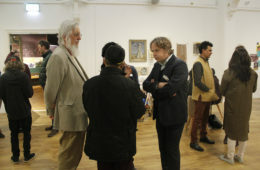 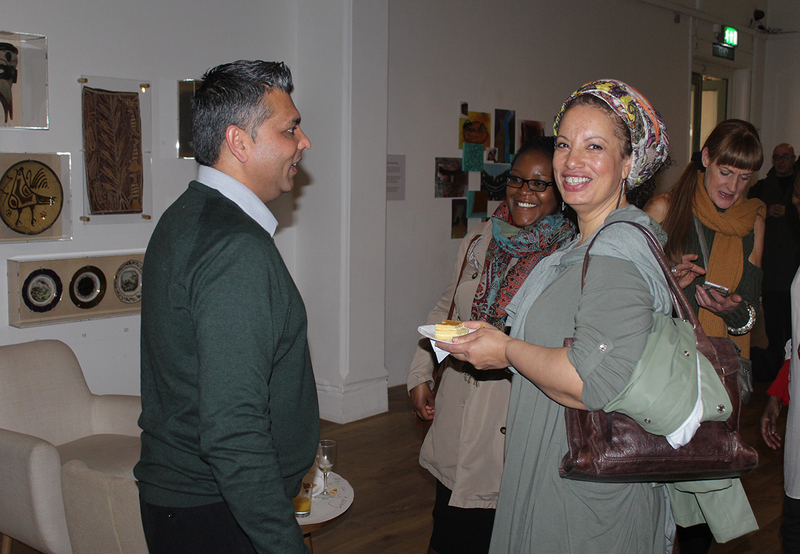 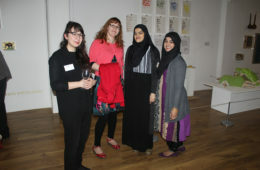 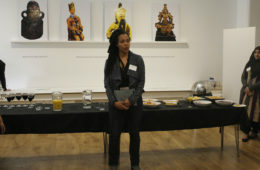 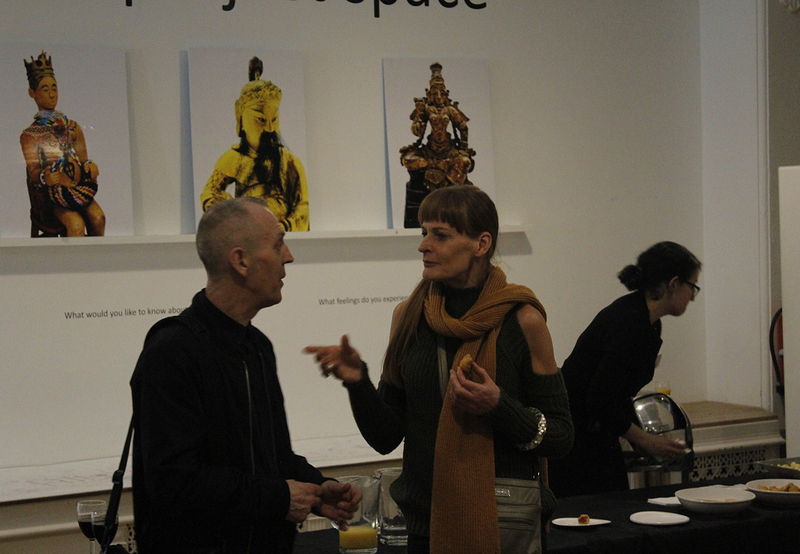 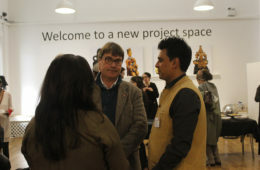 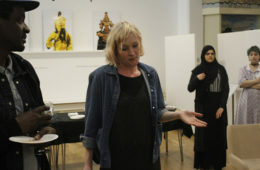 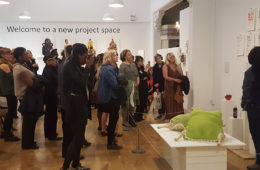 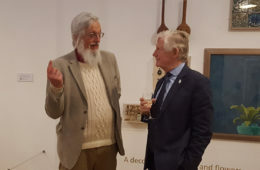 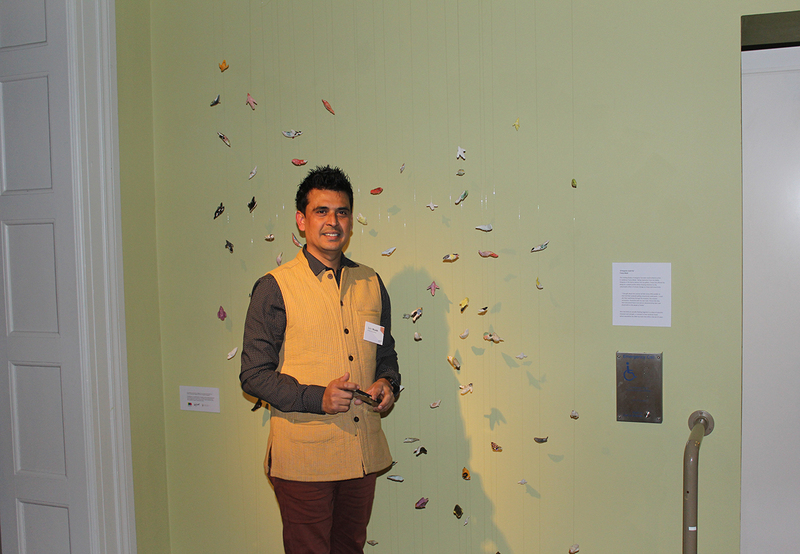 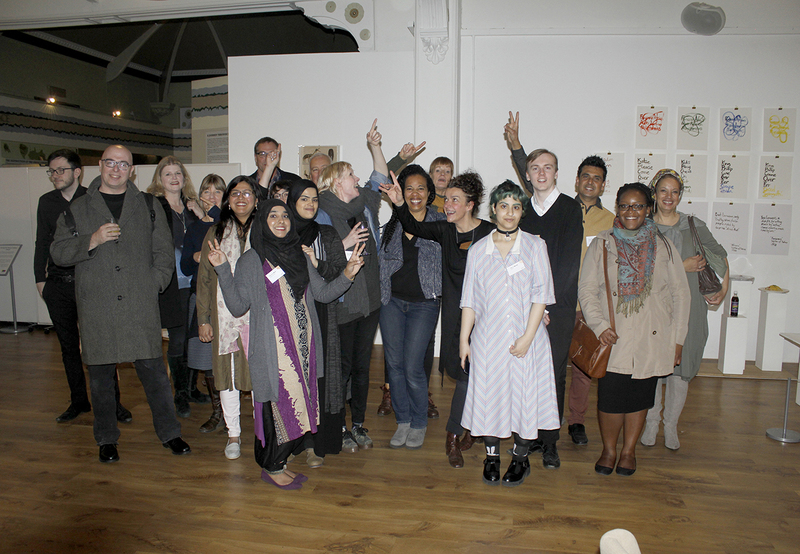 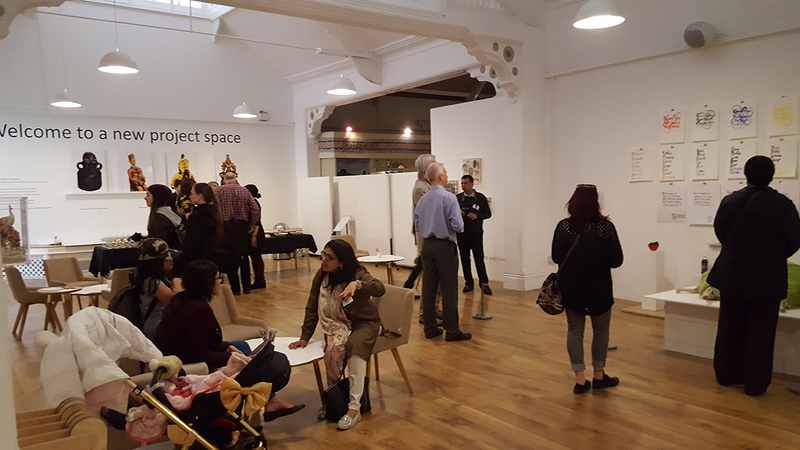 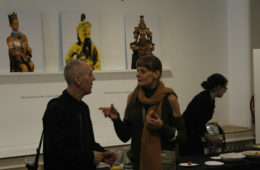 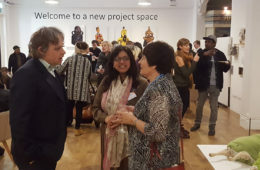 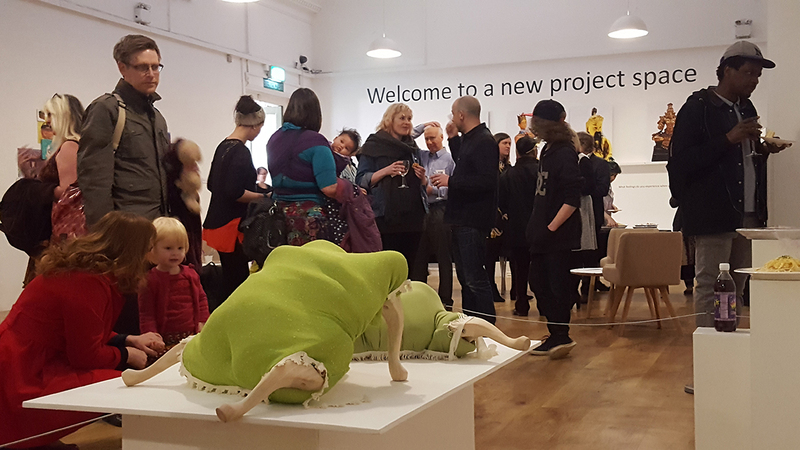 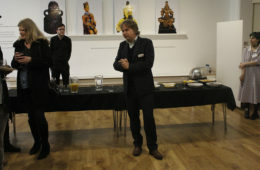 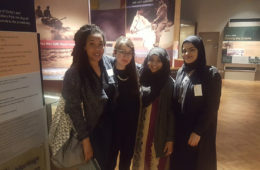 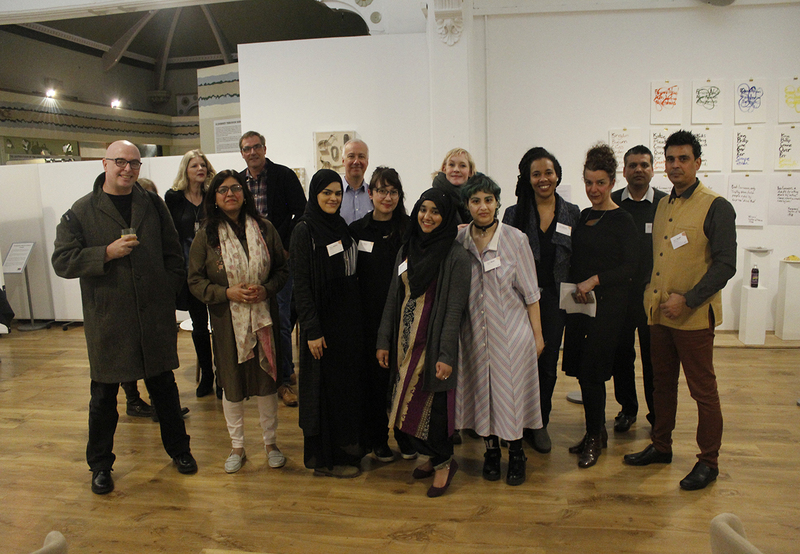 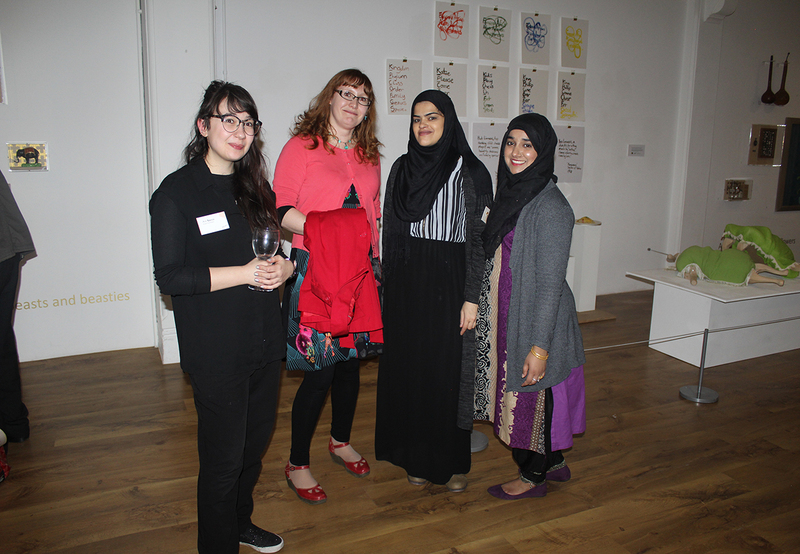 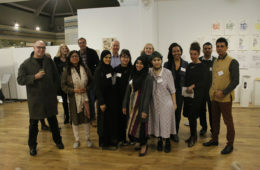 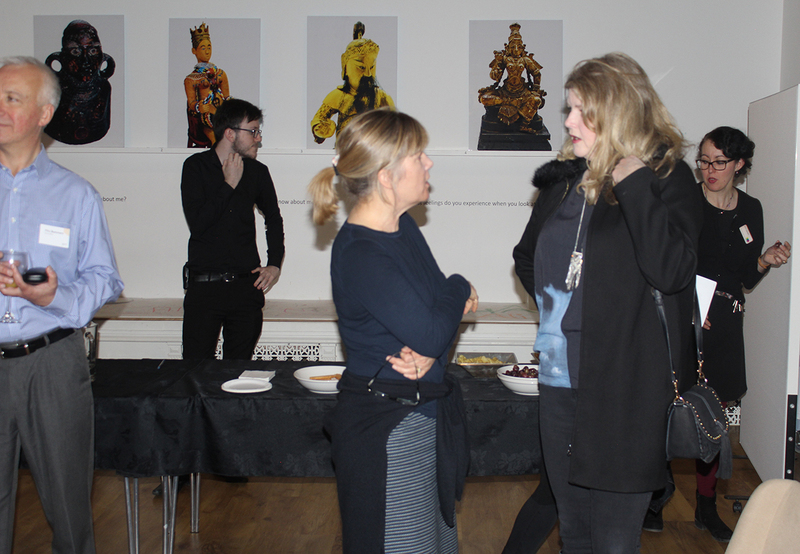 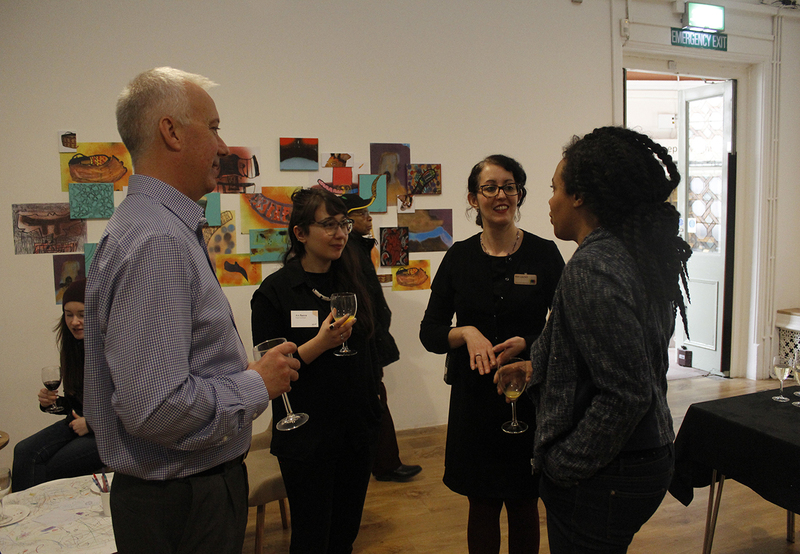 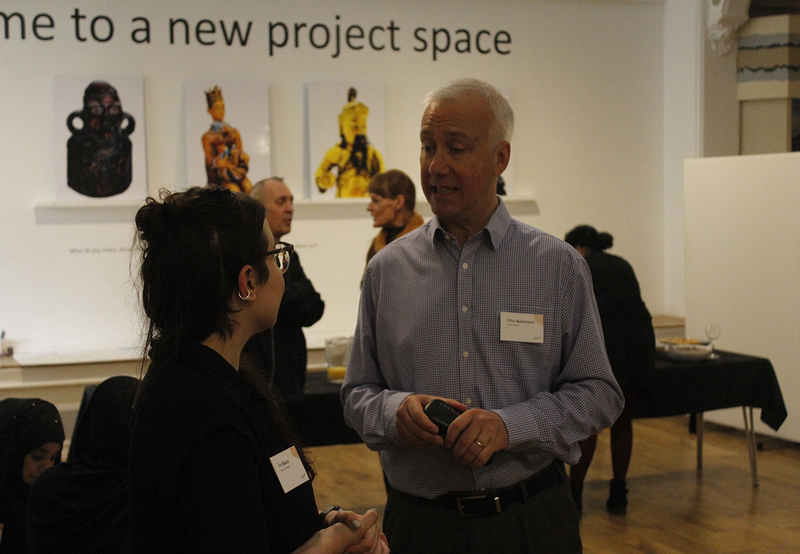 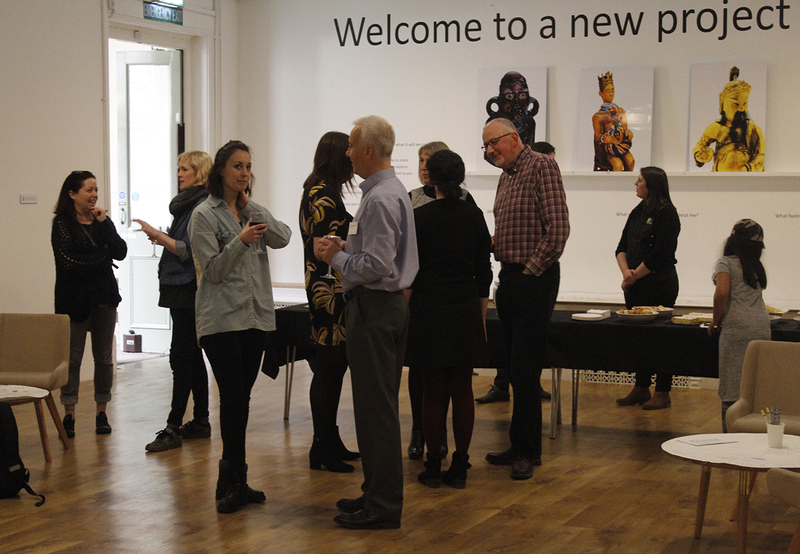 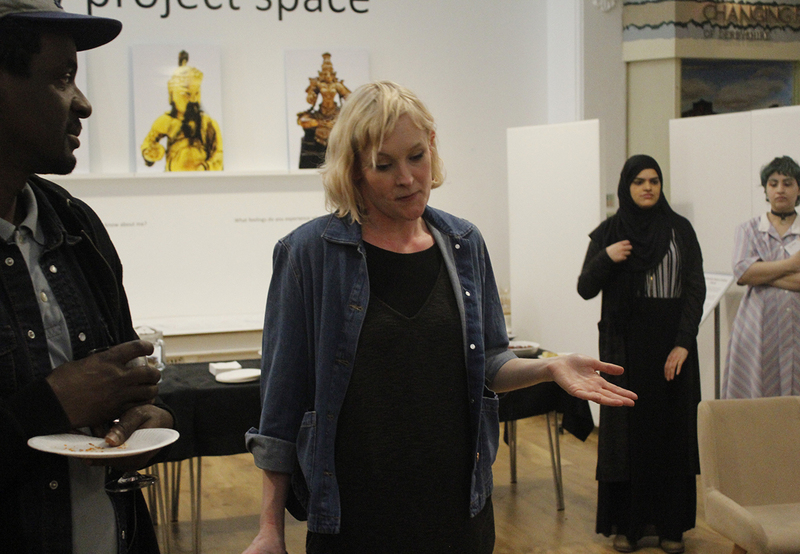 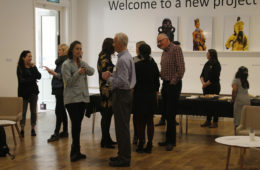 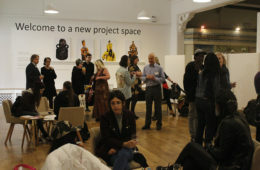 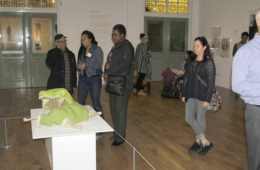 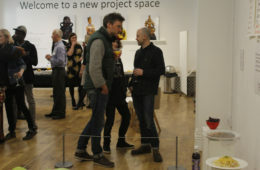 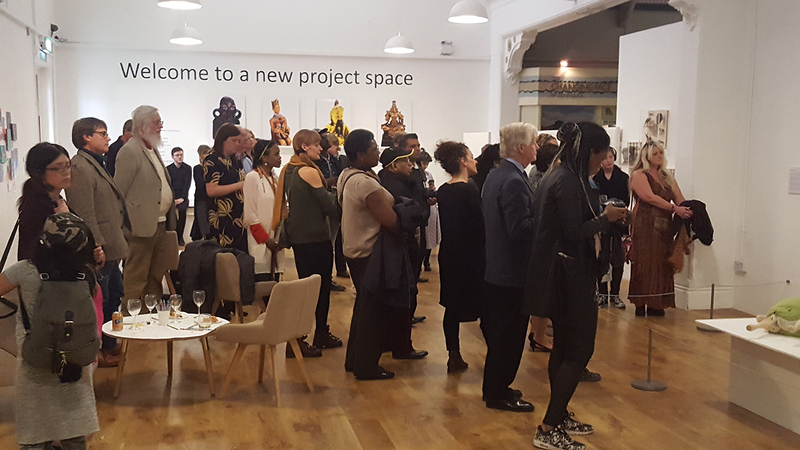 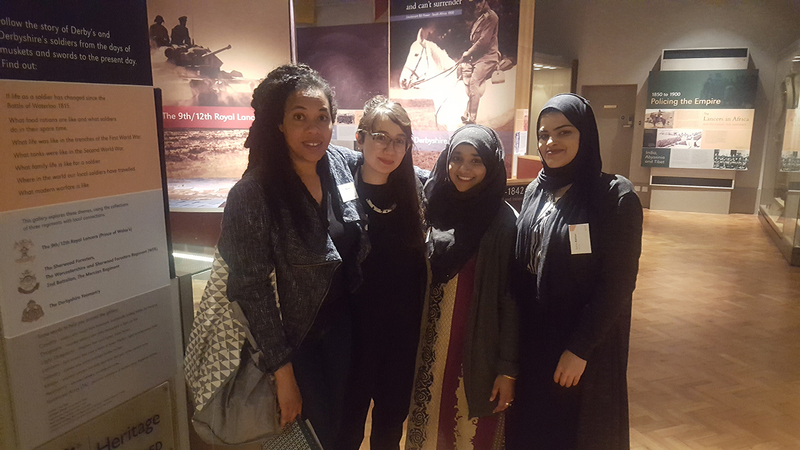 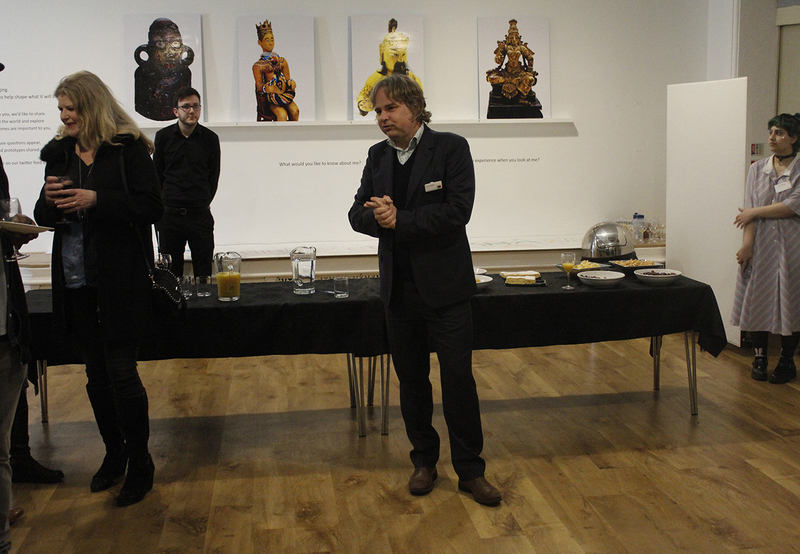 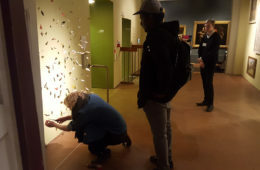 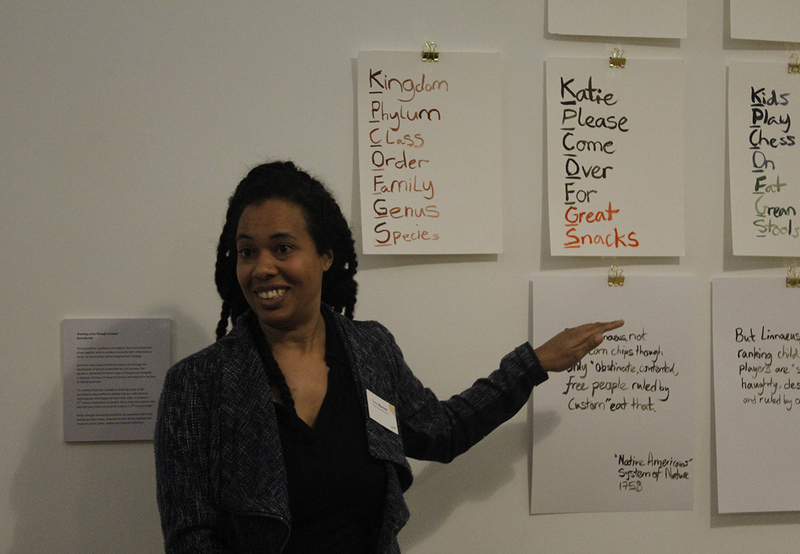 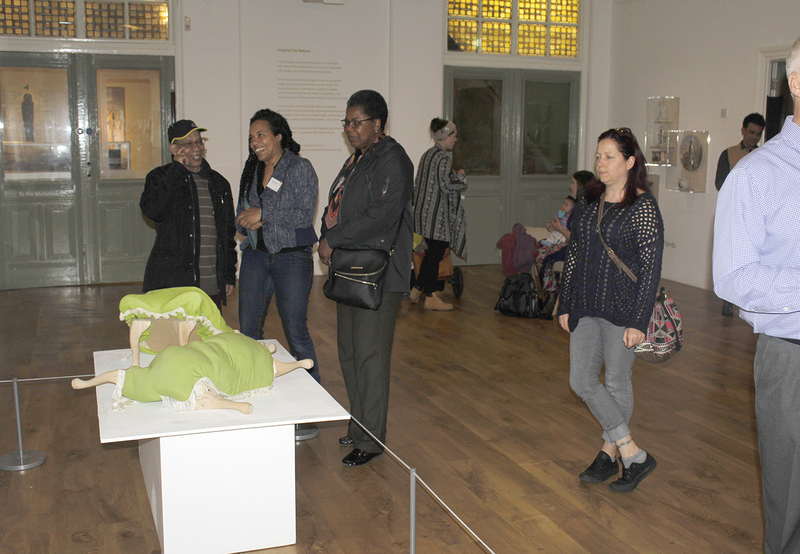 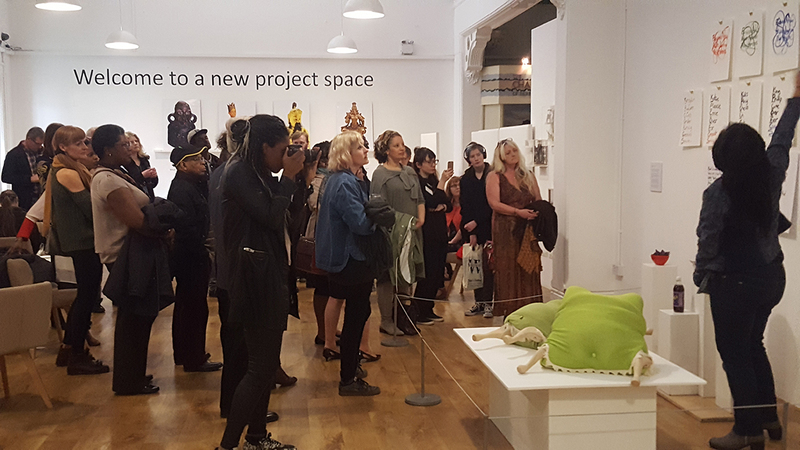 On Thursday 13th April we celebrated a successful launch of the second Art Attachments Bridge the Gap Exhibition II at Derby Museums. 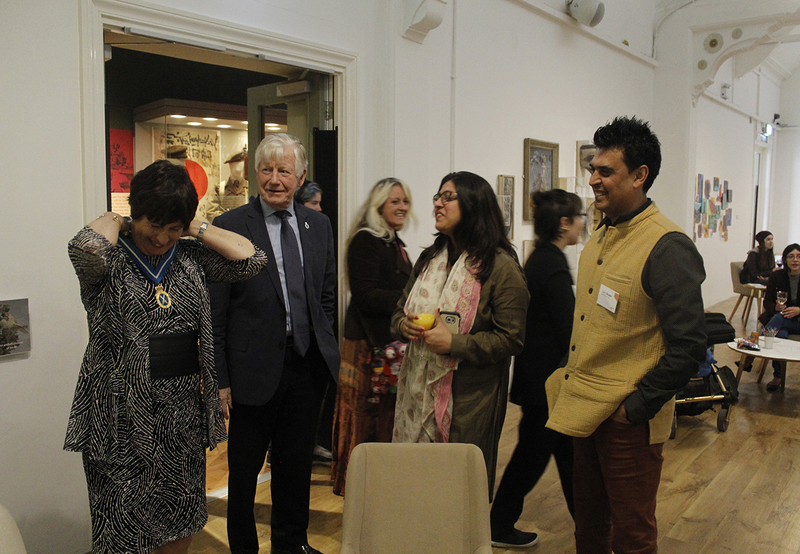 We were honoured to be joined by the High Sheriff of Derby and the local artistic community of Derby. 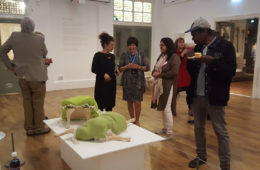 Working in partnership with Derby Museums we showcased our resident artists Tracey Meek and Sonia Barrett within the Museum’s collections and galleries. 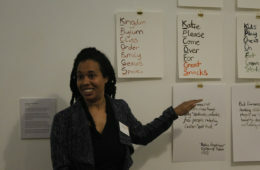 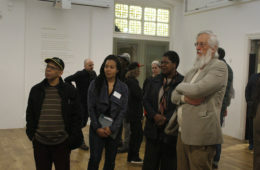 The work has been inspired and produced during their residency at Artcore. 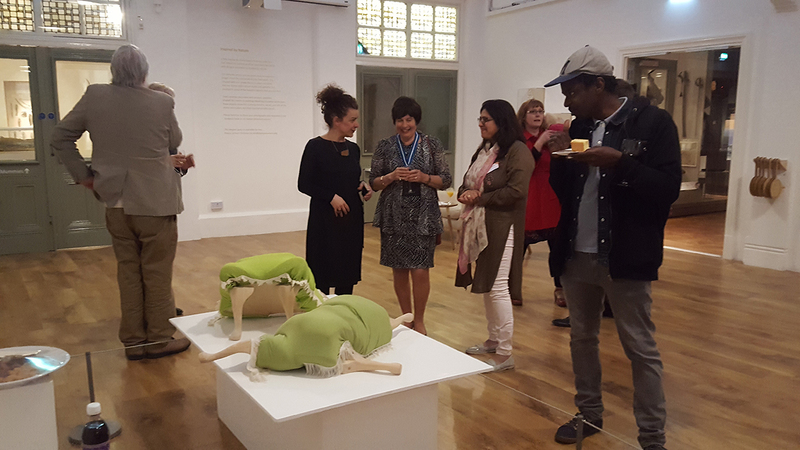 The two talented artists have interrogated the museum collection and produced a thought provoking body of work in response. 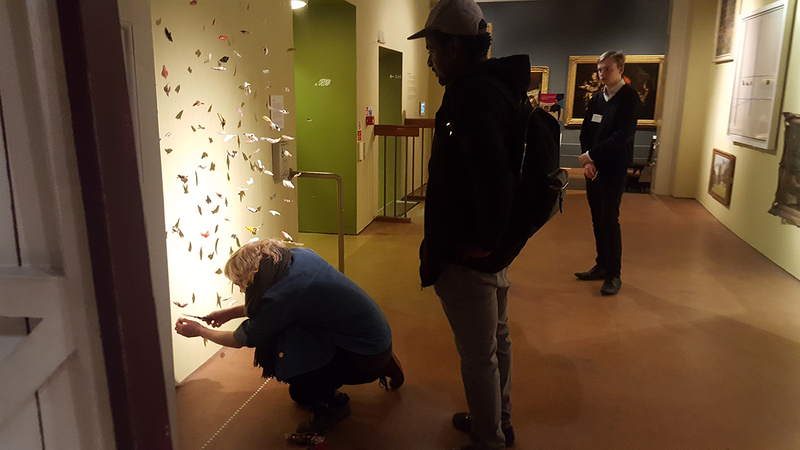 Their interventional pieces have enlivened multiple areas of the museum, changing the dynamic of the space to encourage new perspectives. 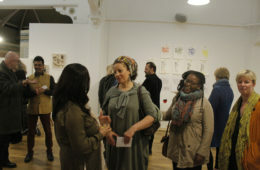 Tracey’s work reflects her sharp wit with her illustrative style transcending 2 dimensions. 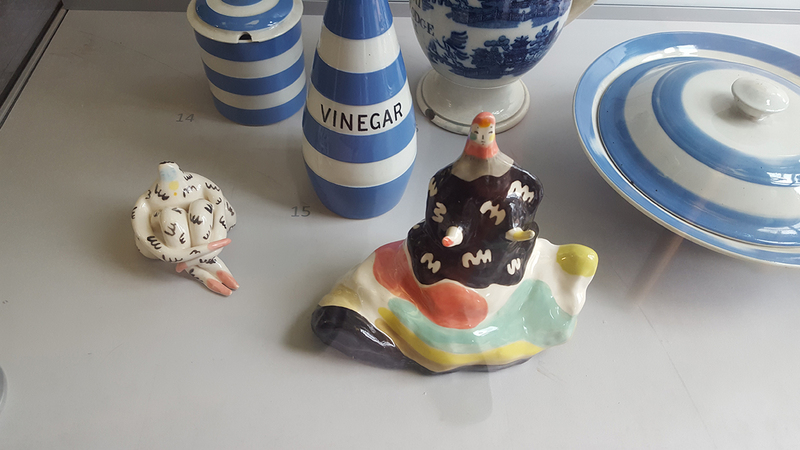 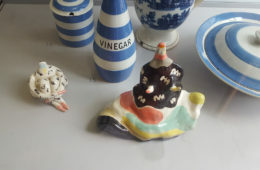 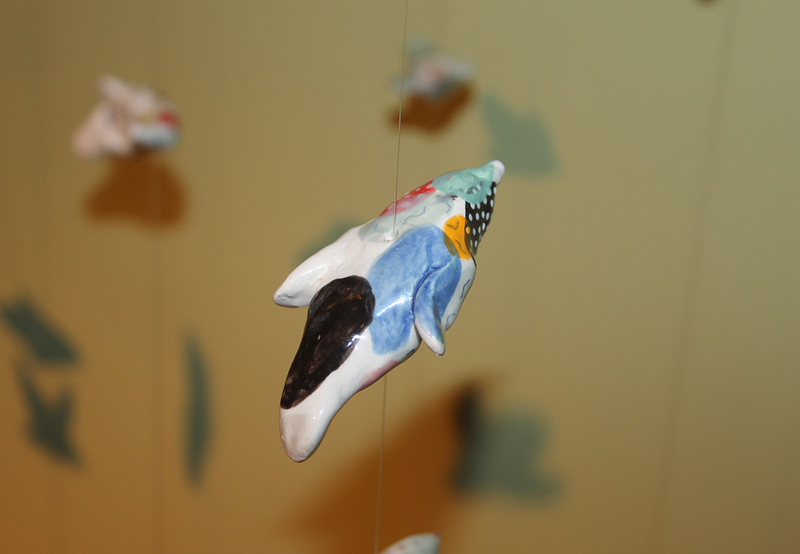 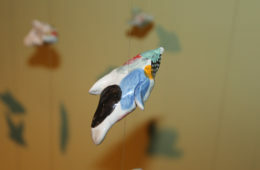 Her playful cascade of penguins skydive and swim amongst shadows whilst more hidden, subversive pieces infiltrate the displays throughout the Museum and nestle into the Café ceramics. 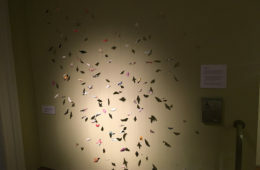 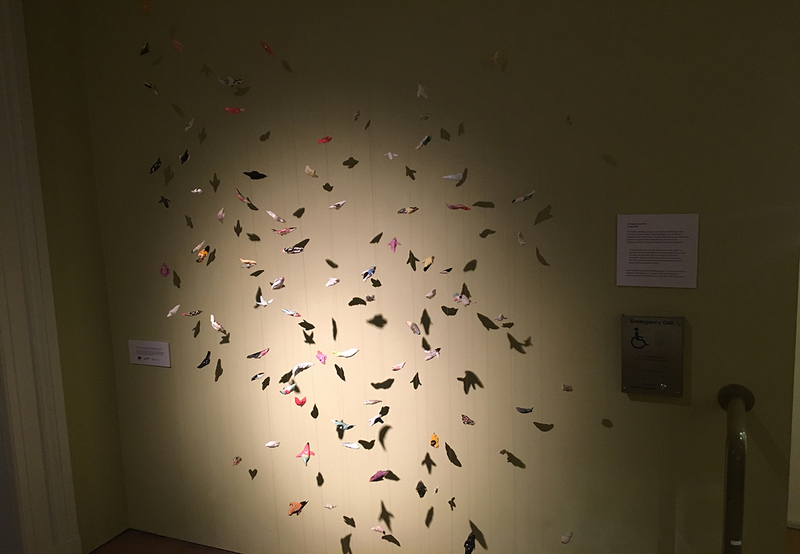 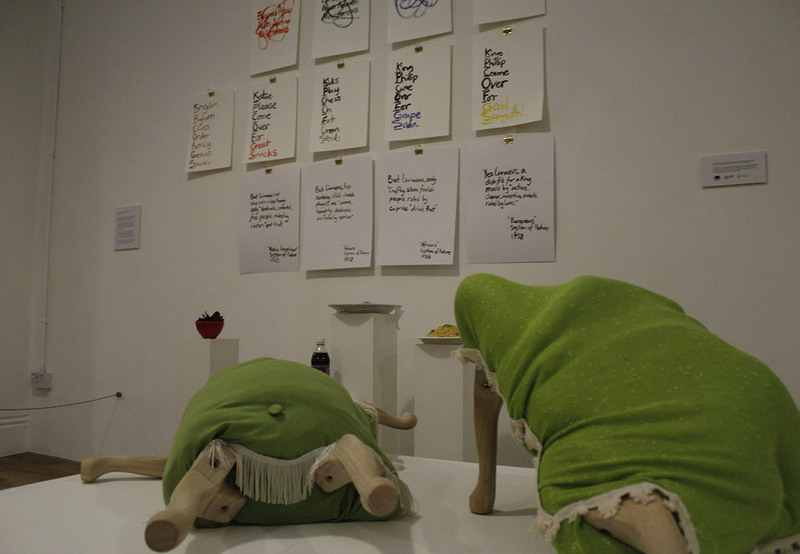 Sonia’s poignant response explores and challenges the Linnaeus classification system within the emerging World Cultures gallery. 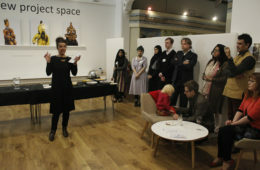 Thank you to Andrea Hadley-Johnson and all the Derby Museums team for their hard work. 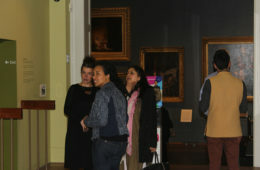 The exhibition continues until 14th May during Derby Museums normal opening times. 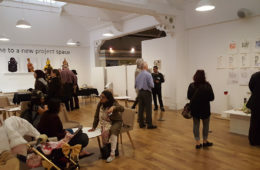 Art Attachments is an Arts Council Funded project that supports artists by offering opportunities for professional and artistic development. 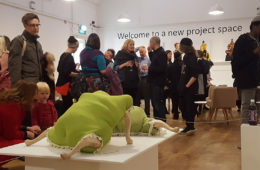 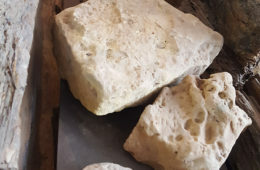 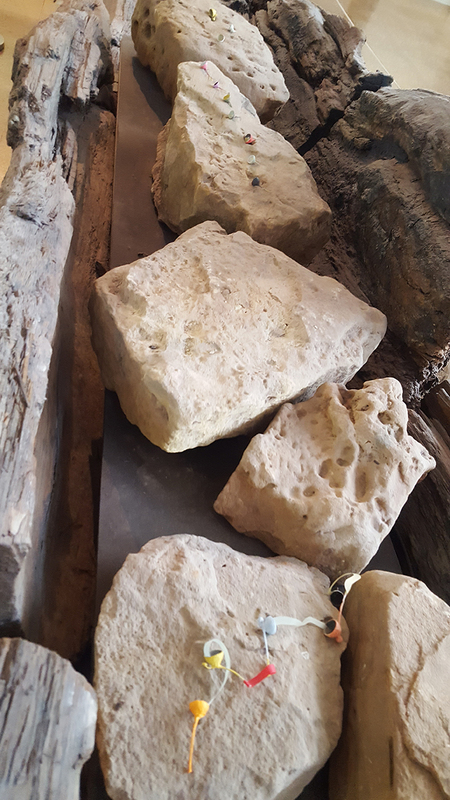 The Bridge the Gap programme offers artists the opportunity to create new work through a residency programme, along with the additional support to develop their practice.